Home / Baseball Tips / How to Hit a baseball like Robinson Cano by staying within your self! 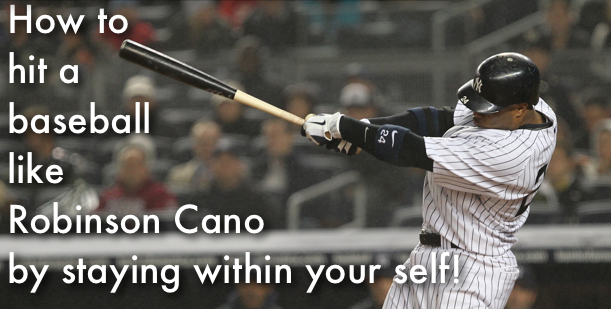 How to Hit a baseball like Robinson Cano by staying within your self! There is something about a lefty’s swing that is different right? Some intangible yet aesthetic aspect about their swing from that side of the plate just makes looking at those kind’s of hitters just a little bit more fun to watch. At least for me. Robinson Cano is a perfect example! Last week I did a video on “How to Hit a Baseball like Jackie Robinson” and explained how Jackie’s style seemed like he played a bit out of control. Well what’s funny is that Robinson Cano is actually named after Jackie. They both played the same positions in New York and yet Cano’s style of play is almost completely opposite. Robinson Cano’s plays completely within himself which is why his swing looks so effortless. In this video I’ll be sharing with you how Cano gets his edge at the plate while playing with the big boys. You know the drill! I wan’t to hear your thoughts. Did you have a big take away from the video? You know I love hearing your feedback! Leave a comment down below and don’t forget to hit the LIKE button! Thanks guys!